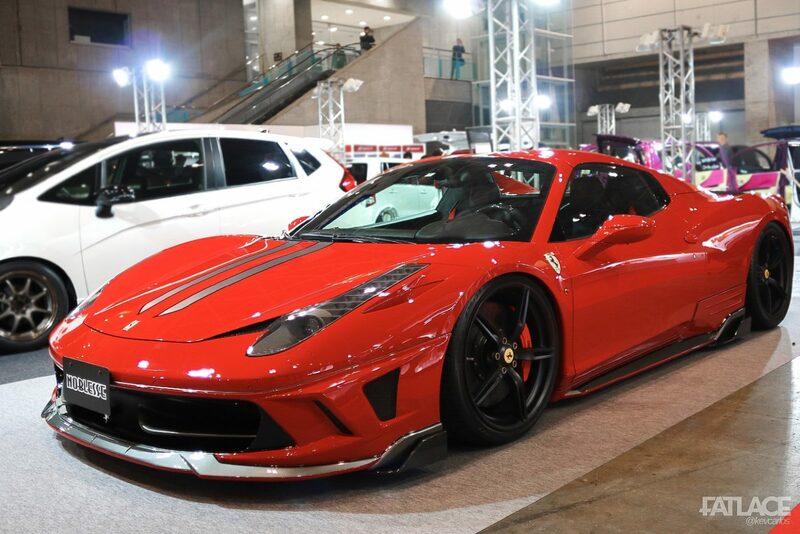 Time flies as it has been more than 3 months since the curtains of the Tokyo Auto Salon closed. 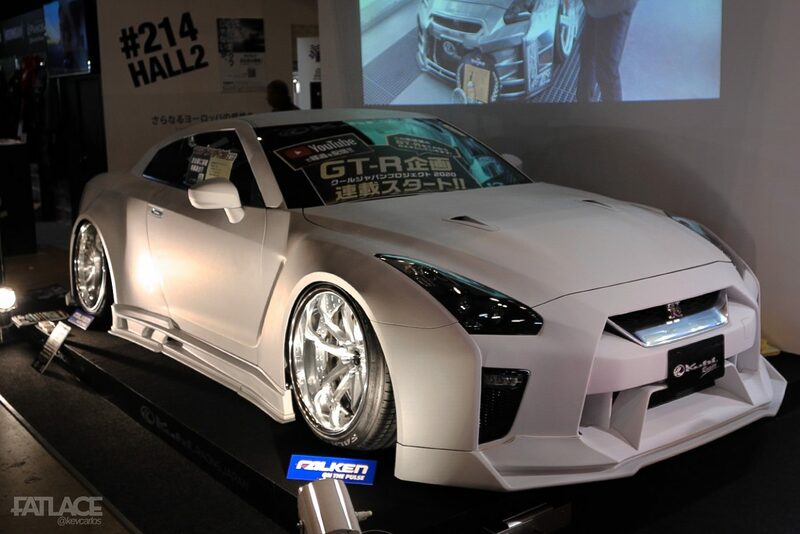 Indeed, a very memorable one as me and more than a dozen of friends flew in for Japan’s busiest aftermarket show. 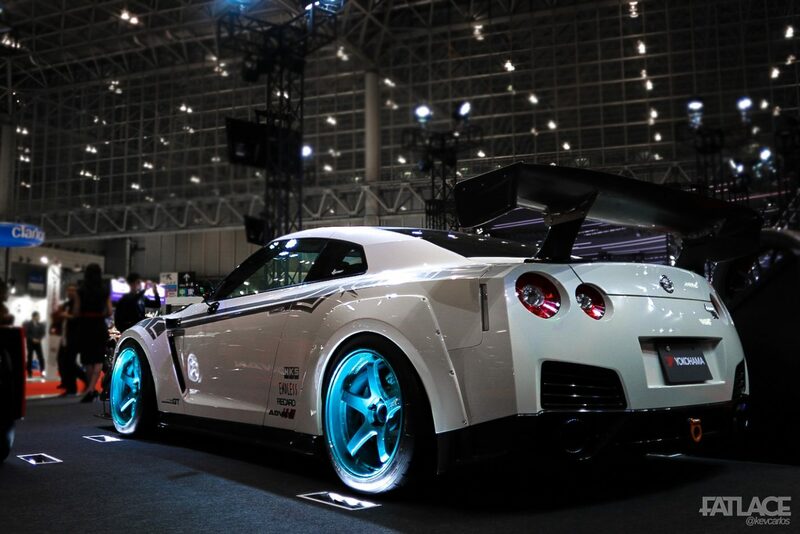 In this post, as I wrap up my 3-part coverage, I will be focusing mostly on GTRs and a few interesting builds. 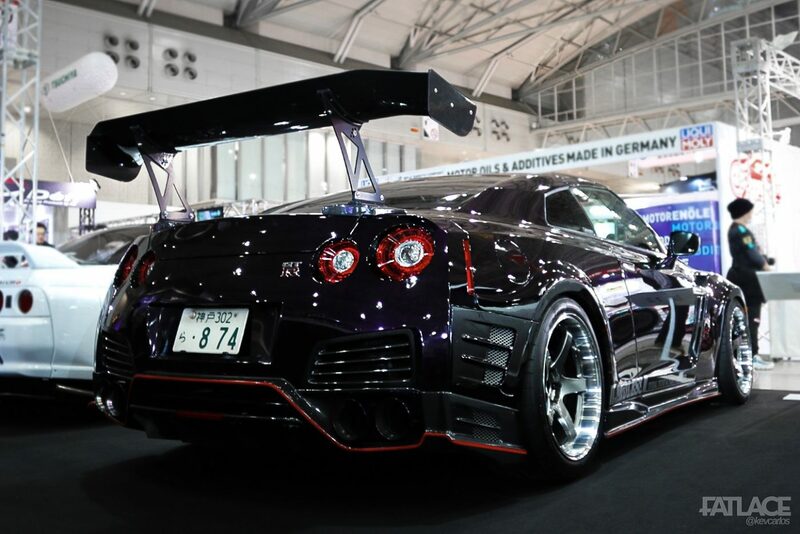 More than a decade in existence, the R35 has been a constant hit at TAS. 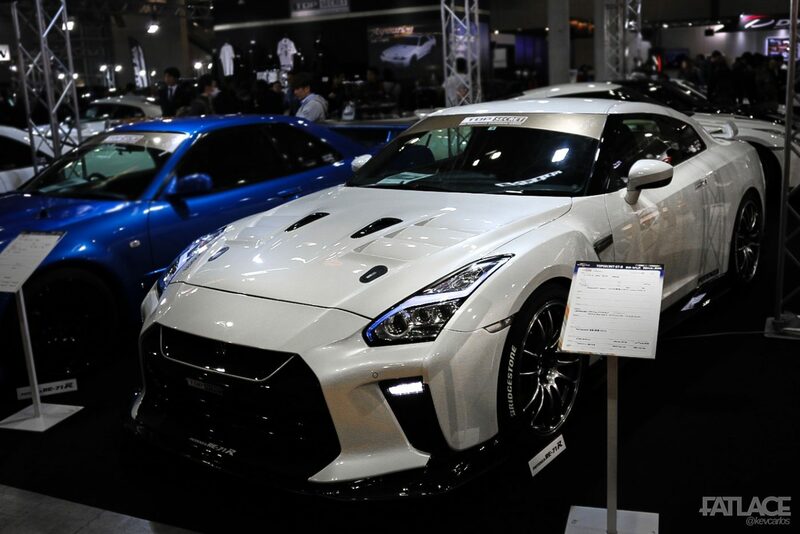 From starting with OEM-styled parts to high horsepower builds, the GT-R is here to stay. An instant classic if you ask me. Here’s one in blank canvas form from Kuhl Racing. The finished product. 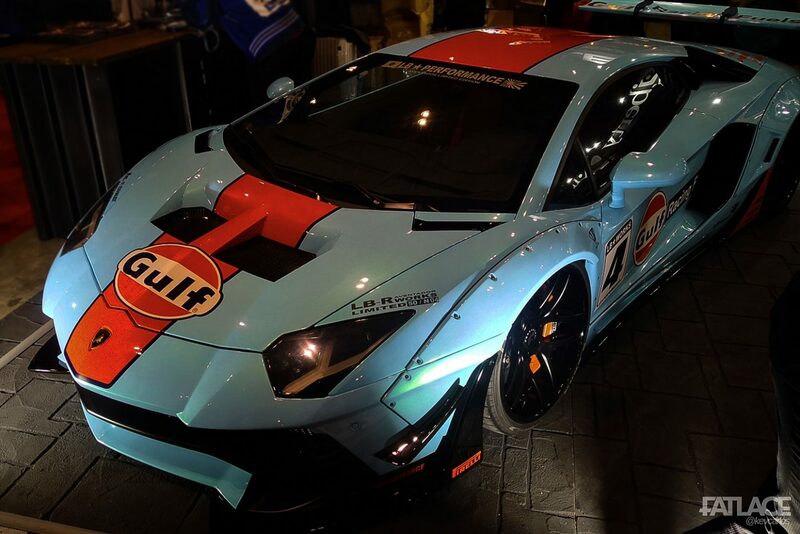 This has to be one of the most visually striking cars I’ve ever seen. 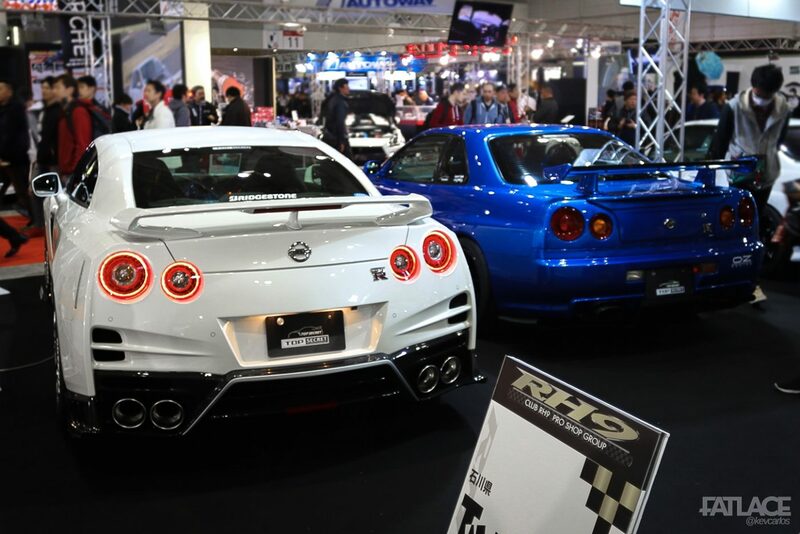 The Top Secret booth showed off a good number of GTRs. 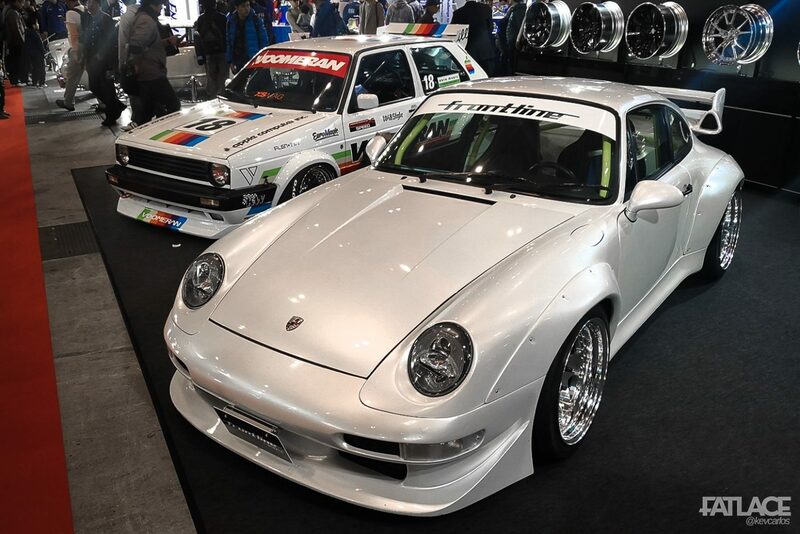 Chopped carbon seemed to be a trend this year at TAS. 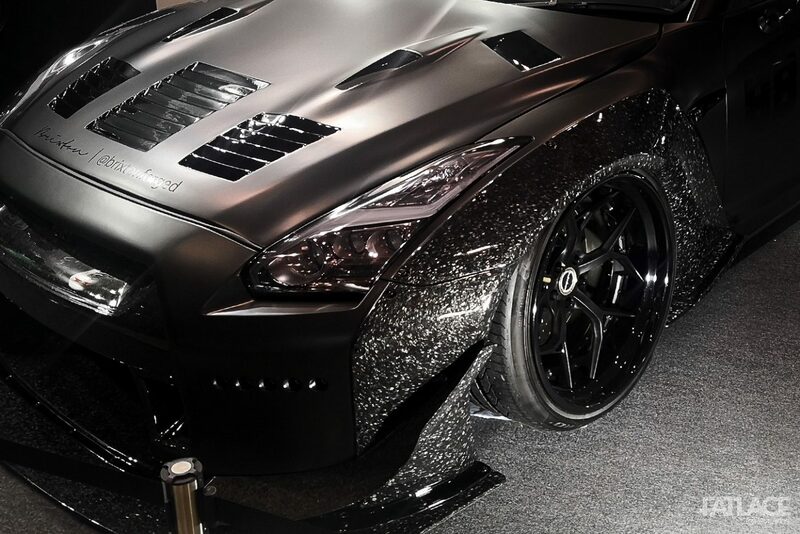 It’s an intricate process in molding carbon fiber, check out this one-off Rocket Bunny GT-R from Advance Eight. 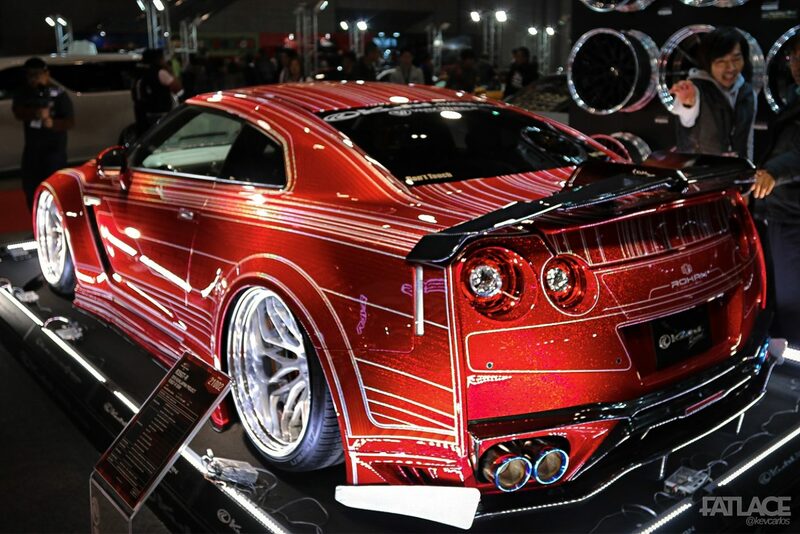 Here’s Varis’ take on the new craze, the 33k $ “Magnum Opus chopped Carbon Version Full Aero Kit”. 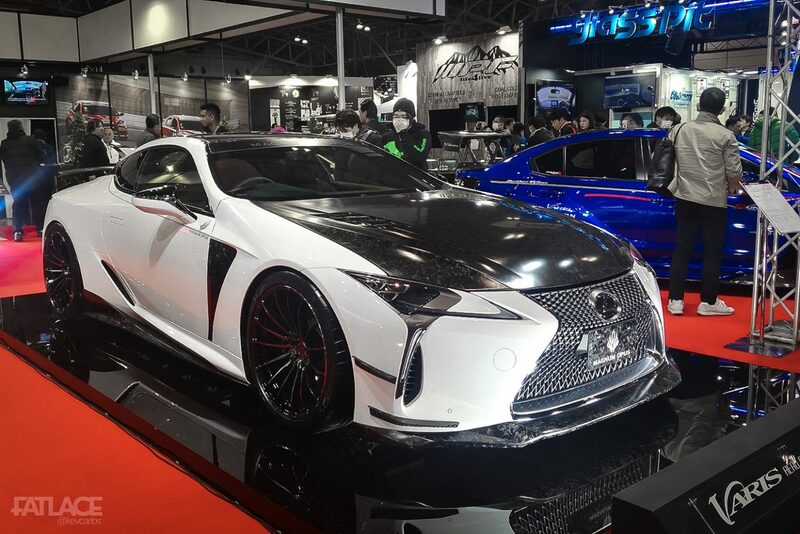 Varis Magnum Opus LC500. 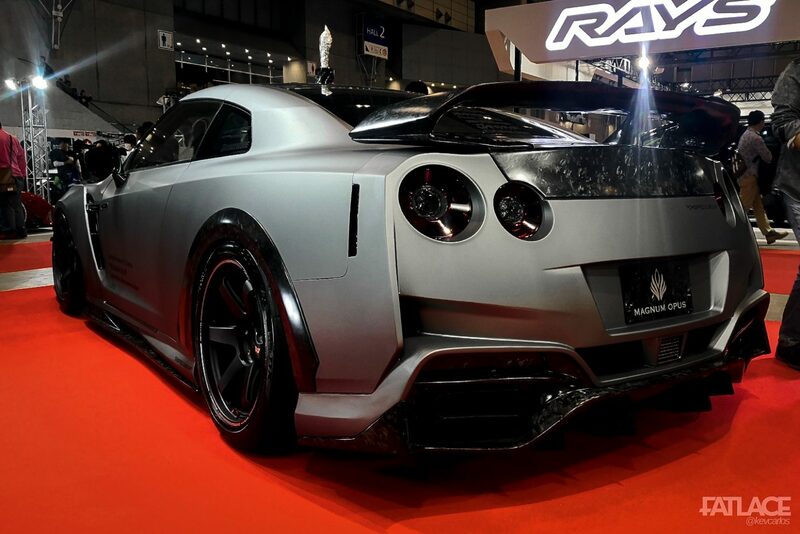 Chopped carbon is something we see in supercars, mostly in its structural tubs.. 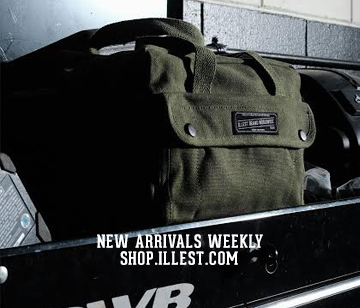 Still unsure if this will take off pretty soon due its price point. One of my favorites from the show! 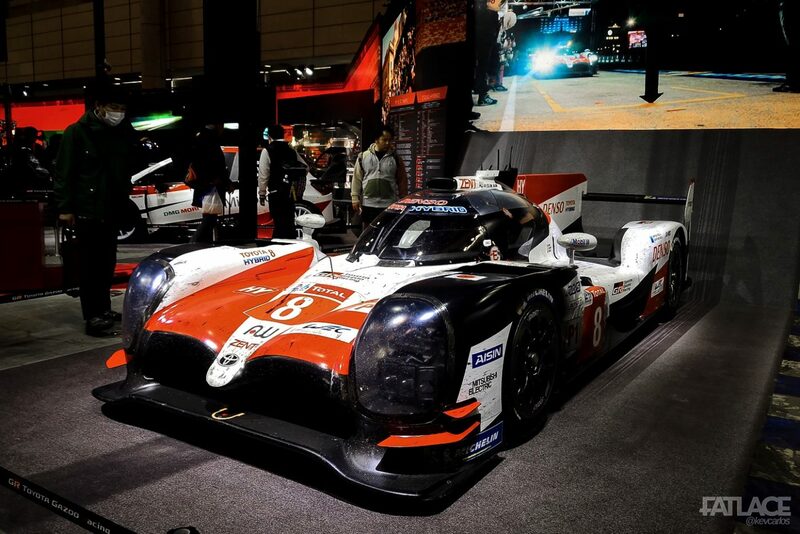 Here are more cars on the show floor. 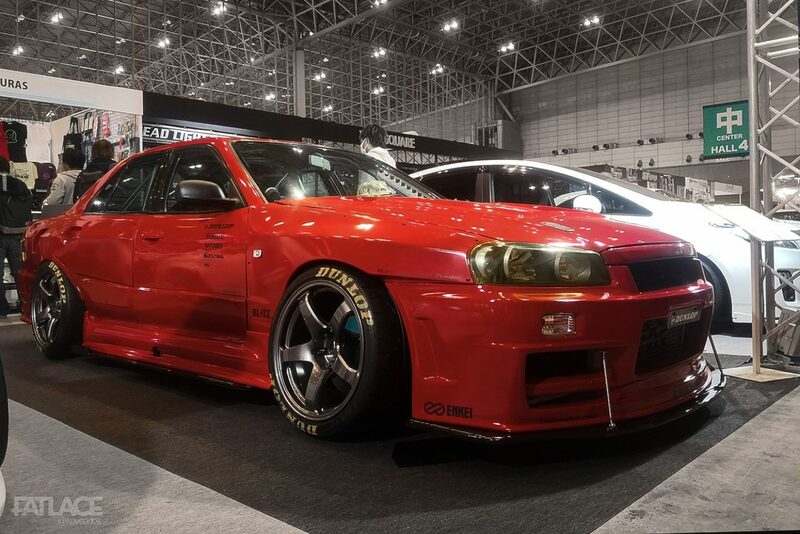 Let’s start with the URAS ER34 sedan. 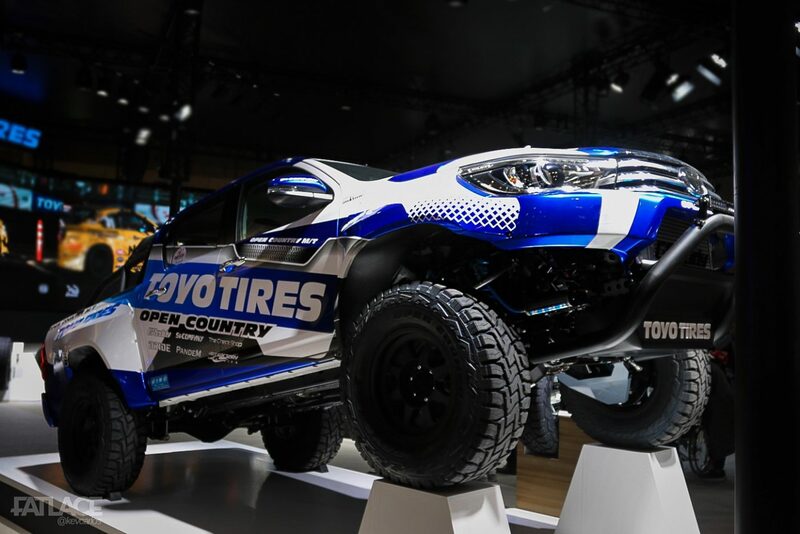 Pandem showed off their widebody Hilux at the Toyo Tires booth. 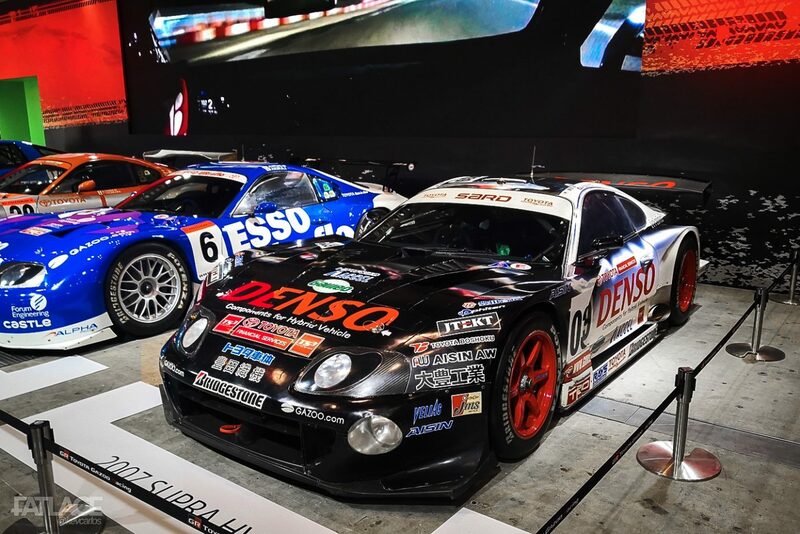 In preparation for the A90 Supra reveal – which happened 1 day after TAS in Detroit, Toyota displayed several nostalgic race cars. 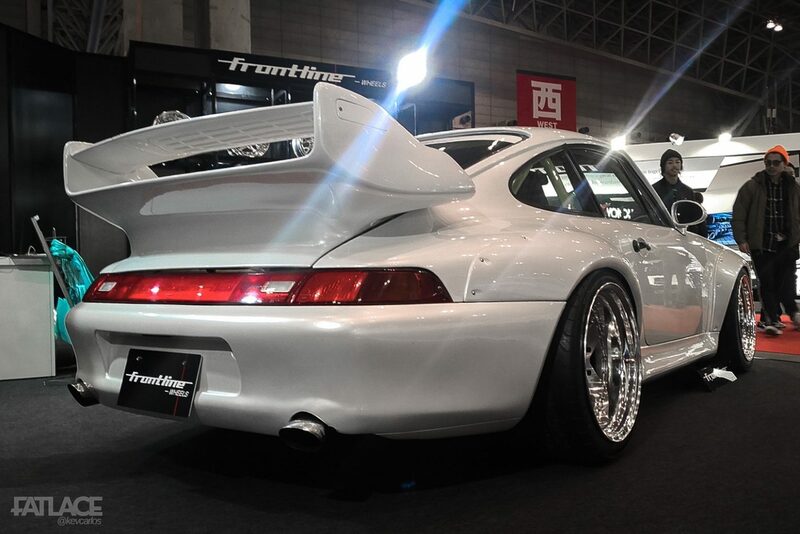 Another favorite, a GT2- spec 993 with dish wheels. 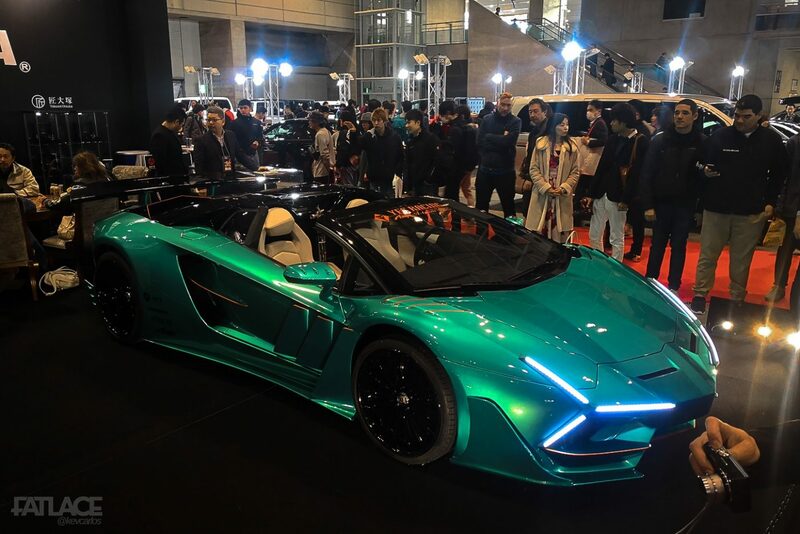 Thoughts on this Lambo? 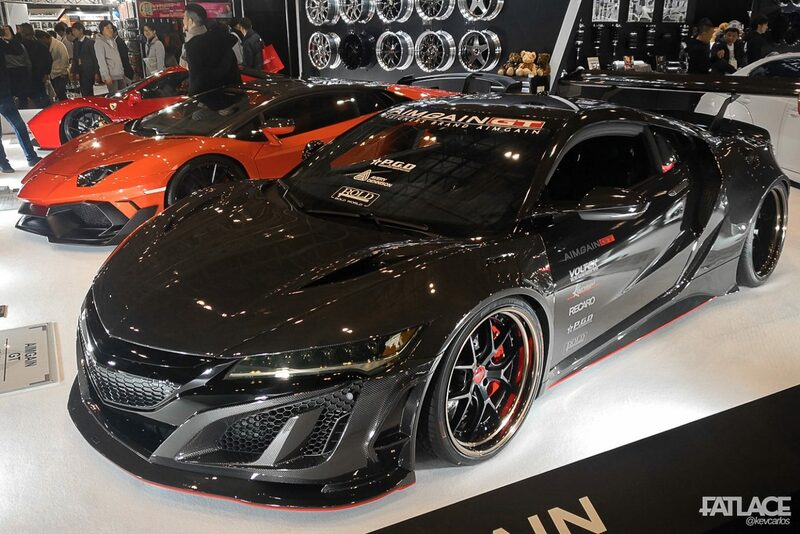 Carbon clad NSX for Aimgain. 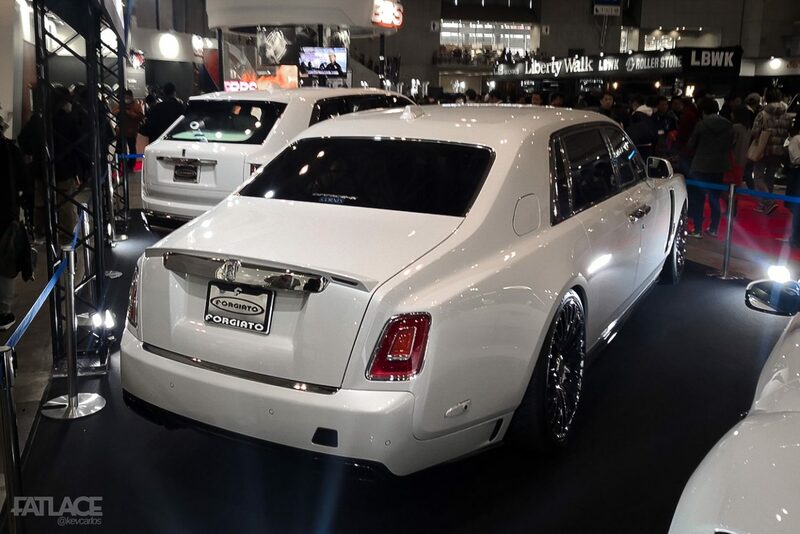 New Phantom and Cullinan dressed by Forgiato. 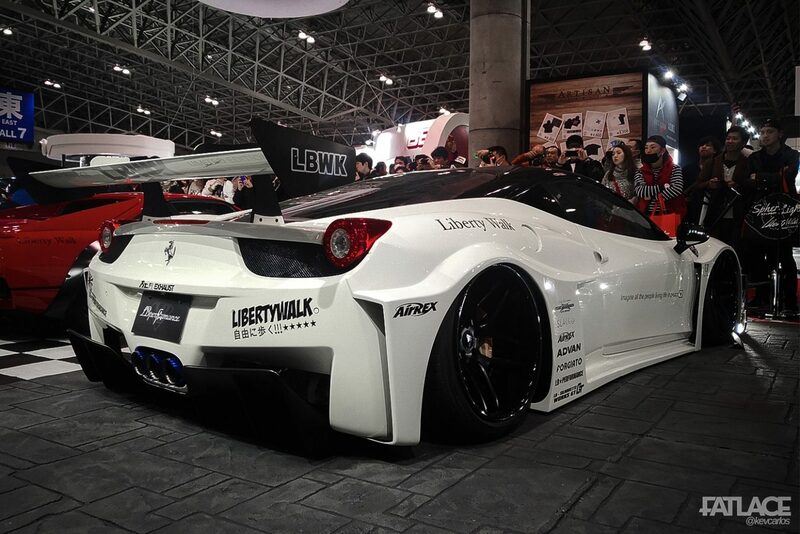 A new GT-style aero kit from Liberty Walk debuted in form of a 488 kit. 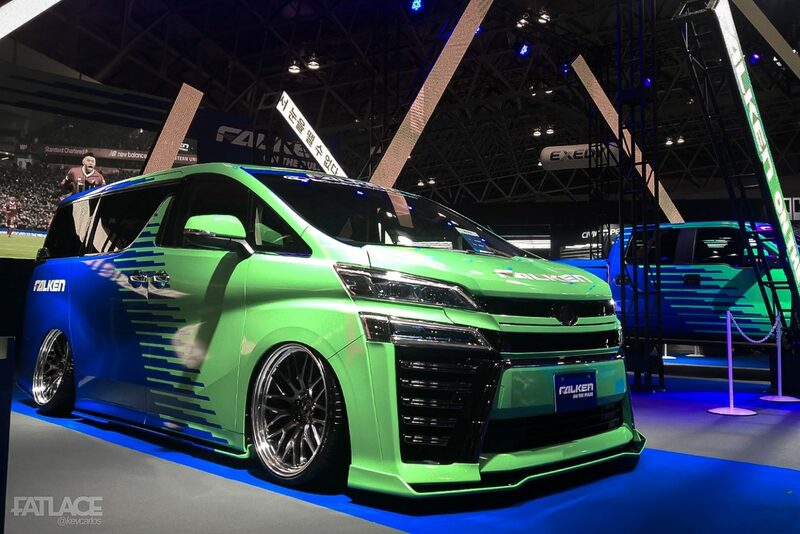 Leaving this post with a Toyota Alphard, Falken style. See you soon.